Take your logo or image with you wherever you go with the Travel Stadium Cup. The solid durable plastic and specialized bottom allow this cup to be taken anywhere, even your car. 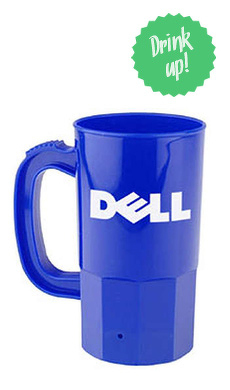 Fully display your logo or image on this gigantic cup, which holds up to 44 oz of any beverage. A wide range of custom color imprint options, make this stadium cup the perfect item to create an ever lasting impression on your clients.